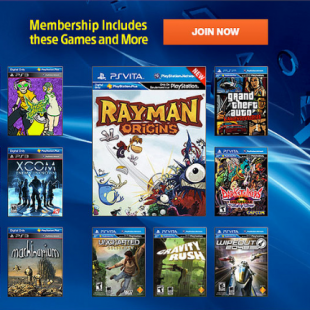 On September 24th American PS Plus members will have access to new discounts in addition to a free copy of Rayman Origins. In case you weren't yet sold on the merits of PlayStation Plus, Sony has announced a slew of discounts and free games that might just do the trick. Perhaps the best perk to come with this latest update to the service is the inclusion of the Vita version of Rayman Origins. Arguably one of the best games available on the handheld following its launch, Origins was the precursor to the recently released Rayman Legends. Built on the same foundation of lush hand drawn visuals and 2D platforming, Origins was arguably the perfect partner to help early adopters get a bang for the bucks they spent on the handheld. Now, PS Plus members who haven't tried the game yet will be given access to it free of charge. This complimentary game comes in tow with a slew of discounts on titles including Limbo, Worms Revolution and Lone Survivor: Director's Cut. Lone Survivor is, of course, the enhanced PlayStation port of Jasper Byrne's critically acclaimed indie title. The 24th is also the game's official release date on PSN. Sadly, the update also contains some bad news. Resident Evil Chronicles HD Collection will be leaving the PS Plus Instant Game Collection on October 1st. Granted, getting Rayman Origins is a pretty sweet tradeoff, but it's still unfortunate to see the game go.